I never thought I would find myself in Jordan. I was super fortunate to be met with the opportunity to visit because of a friend currently working in the capital, Amman. 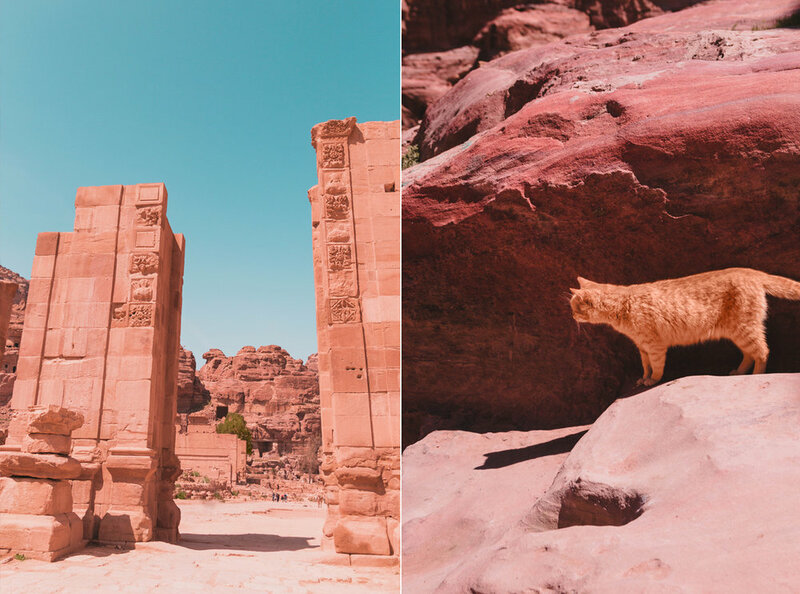 It was a whirlwind trip with only two full days in the country, one of which was dedicated to exploring the breathtaking, lost city of Petra. 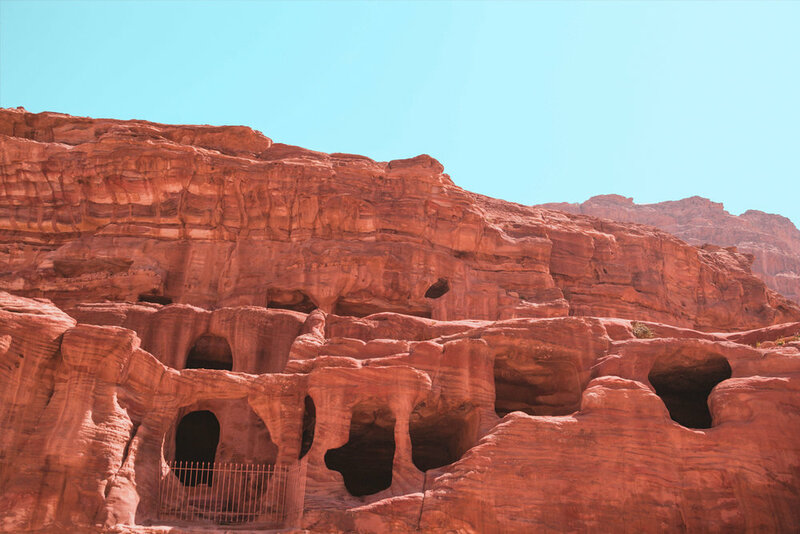 Situated between the Red Sea and the Dead Sea and inhabited since prehistoric times, the rock-cut ‘rose city’ was the capital of the Nabatean Empire from around the 1st Century BC. 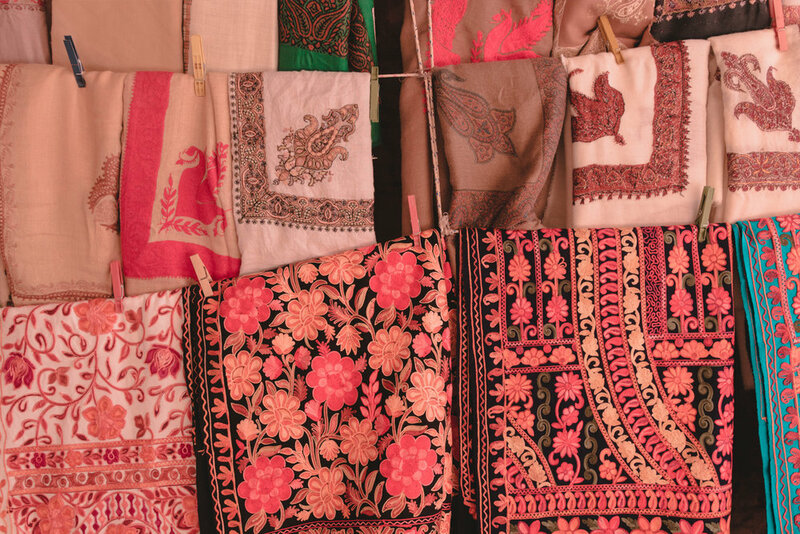 During the Roman times it became a major trade centre for the incense of Arabia, the silks of China and the spices of India, a crossroads between Arabia, Egypt and Syria. 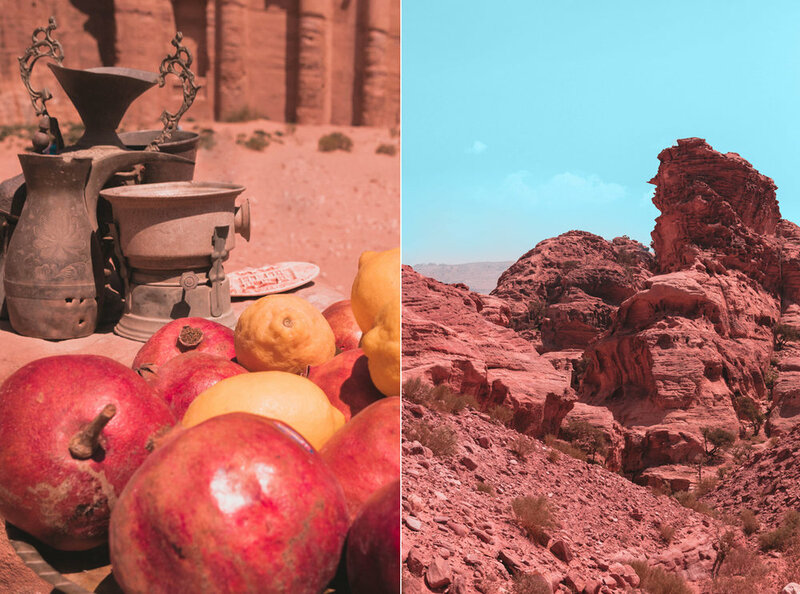 Petra is half-built, half-carved into this vibrant red sandstone and is surrounded by mountains riddled with passages and gorges. 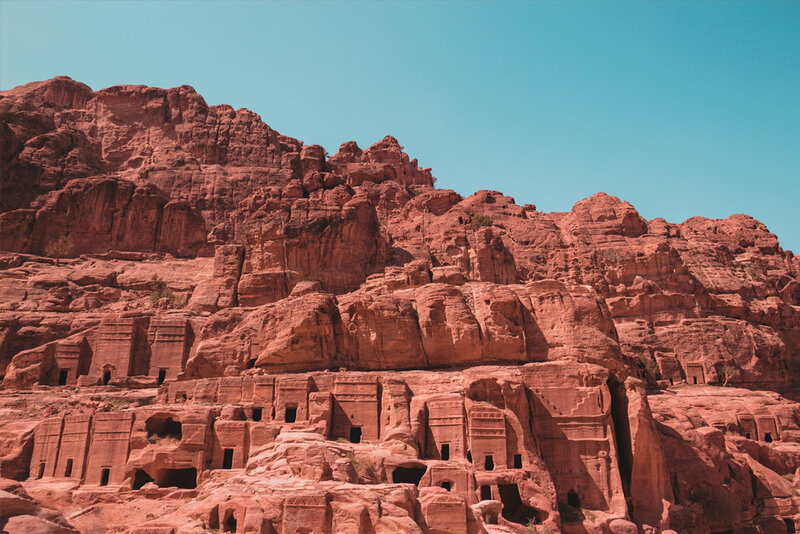 The Nabataeans buried their dead in intricate tombs that were cut out of the mountain sides and the city also had temples, a theatre, and following the Roman annexation, a colonnaded street and churches. 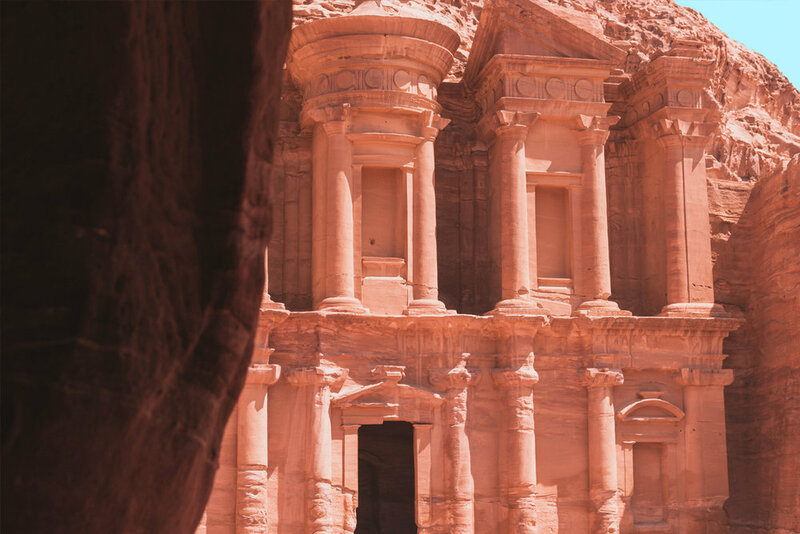 After Petra’s annexation to the Roman Empire, it thrived until a large earthquake destroyed much of the city in the 4th century AD. The earthquake combined with changes in trade routes, eventually led to the downfall of the city which let to its ultimate abandonment. 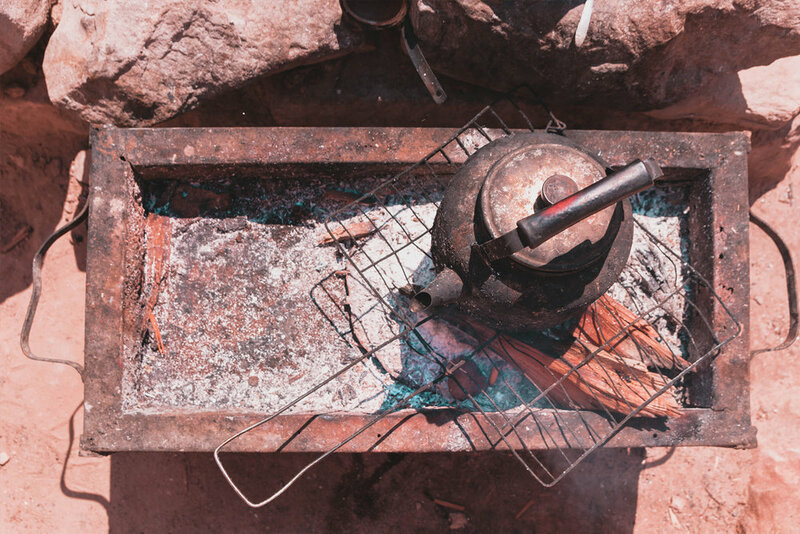 By the middle of the 7th century Petra appeared to have been largely deserted and it was then lost to all except local Bedouin from the area. Archaeologists say that only 15 percent of the city has been uncovered and the rest is still buried underground and remains untouched. 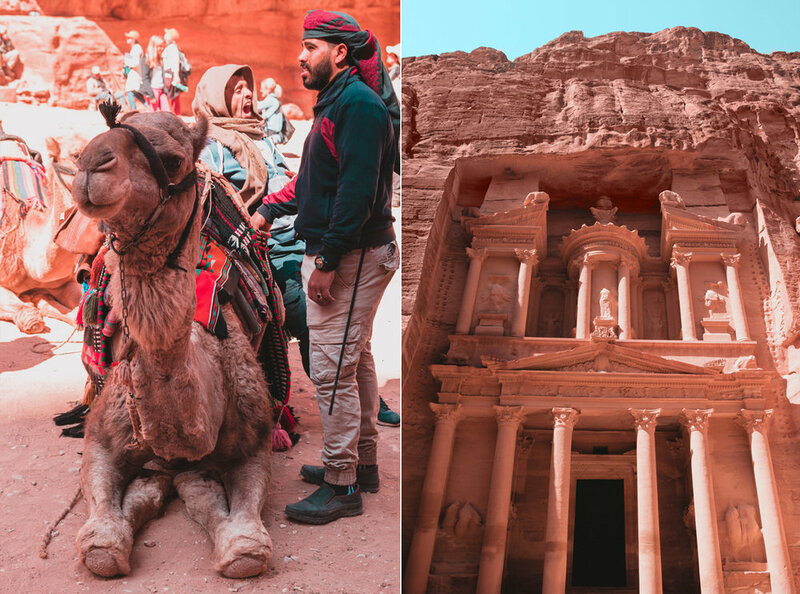 In 1985, the Petra Archaeological Park was declared a UNESCO World Heritage Site and in 2007 it was named one of the new seven wonders of the world. 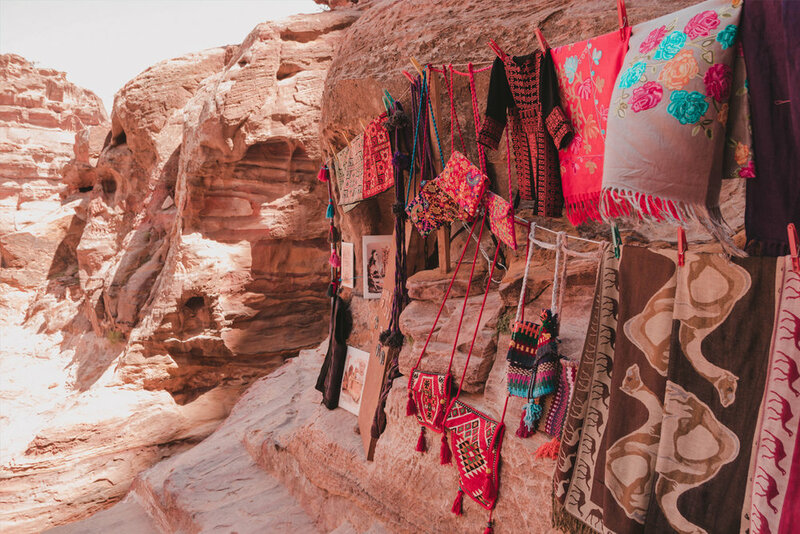 Today it can be seen as I have photographed it; with local Bedouins selling tourist souvenirs along the winding rock streets and the area is bustling with activity as the locals try to get you to ride a camel, horse or donkey. We hiked up to the highest point, the Monastery and were met along the path with colourful trinkets, roaming animals and breathtaking views.